Pros go where the money is, even if they have to shake hands with morally corrupt individuals, or play in countries where there’s evidence of human rights abuse. As long as the price is right, the majority will tee it up. Golf’s European Tour caravan recently stopped for a week in the same Saudi Arabia for the Saudi International, which Dustin Johnson won to collect $600 000, adding to the seven-figure appearance fee he received. But cash is king, which is why so many pros chose to not represent their country at the 2016 Rio Olympics where it was only honour up for grabs. Many of the top pros hid behind the ‘Zika virus’ excuse to avoid going to those Games. Newsflash: the number of Rio Olympians to contract the virus? Zero. 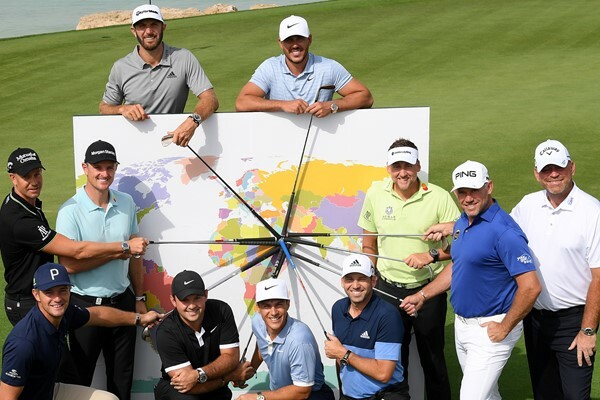 We probably shouldn’t be applauding Casey and criticising the likes of Justin Rose and Johnson when the real villains are those at the European Tour who endorsed the decision to pitch up in Saudi Arabia and add the event to their Tour schedule. While sport and politics can never be separated – South Africans will remember how they were in international isolation between 1960 and 1991 due to the government’s apartheid policy – administrators should be leading the way. But, where does one draw the line? In 1981 the Million Dollar Challenge at Sun City was launched, and Gary Player, Jack Nicklaus, Johnny Miller, Lee Trevino and Seve Ballesteros arrived to contest the first million-dollar prize stake in golf. They didn’t care that the event was a pitching-wedge ‘outside’ South Africa in the homeland of Bophuthatswana, but essentially overseen by the apartheid government. There were cricket and rugby rebel tours to South Africa during apartheid – although penalties for sportsmen coming to the country were severe – but other sports such as pro boxing continued to thrive, even if South Africa were banned from the International Olympic Committee for 32 years. In 2007 Player was criticised by the likes of Nelson Mandela and Bishop Desmond Tutu for designing a golf course in Burma (now Myanmar), although Player defended his decision at the time, saying he was ‘very disappointed’ that his ‘integrity and support for human rights has been brought into question’ and that his company’s involvement in the country had been ‘taken entirely out of context’. I too have had to look in the mirror and ask, as a journalist, which countries I would refuse to travel to for work purposes. It’s not as easy an answer as it might sound.